Augusta at Centerville Commons is a brand new community located close to the Greenbrier section of Chesapeake. Home Associates of Virginia (HAV) is building this community which will feature three-five bedroom homes. 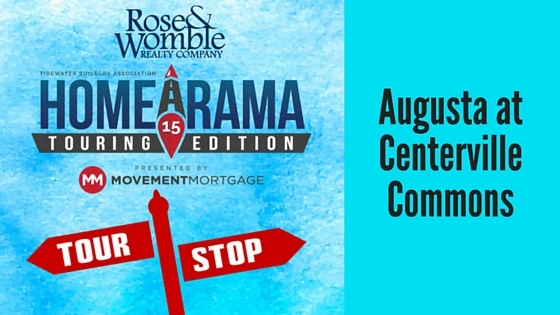 The Newcastle model is Augusta at Centerville Commons’ entry into the 2015 Tidewater Builders Association’s Homearama. It is a five bedroom and two and a half bath single- family home including a first floor bedroom with an optional full bath. There is a luxurious owner’s bath with over sized six-foot soaker tub and spacious ceramic tile shower. The mudroom is Pinterest worthy with built-in lockers for great storage.